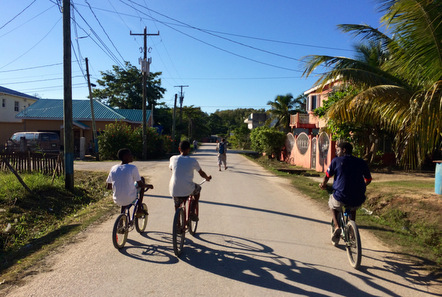 Erin from the Pod Volunteer office was lucky enough to visit Belize in November to visit the amazing projects that Pod Volunteer work with there. 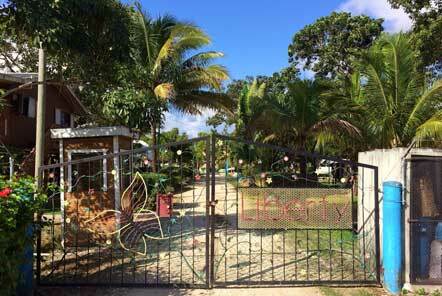 In this second part of her Belize blog she covers her time at the Children’s Home project. My next stop was Ladyville to visit Liberty Children’s Home. Working at a child care placement is a very different style of volunteering where there is a lot less structure and routine in the volunteer role, but the more you put into it the more you get out of it. The first job was to try and learn the children’s names which the other volunteers’ helped me with, and this gets easier as you get to know the children’s personalities. As well as helping with the day to day running of the home which involved jobs like gardening, washing, cooking and cleaning, a lot of the time was spent with the children. Most of the children really enjoy being read to and it often didn’t matter what it was you read (one of the children brought me a phone book to read)! Some of the boys are very good at playing marbles and liked having a new volunteer there to play against; probably because they beat me every time! Some of the older children are involved in a sailing club so I headed out with them and the other volunteers so the boys could clean their sailing equipment from their last race. 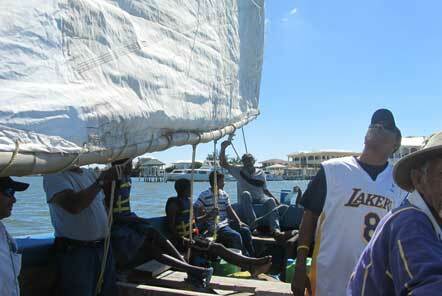 We all ended up going sailing on a boat which was made in 1853 we got to see dolphins swimming alongside which was an amazing experience to share with the children and other volunteers. I had a great time at the Children’s Home and really enjoyed talking to the children about the volunteers that Pod Volunteer had sent and what games they had played with each of them! On my last morning, the children headed off to school and I was given a lovely gift by one of the boys; a flower ring which I have kept.